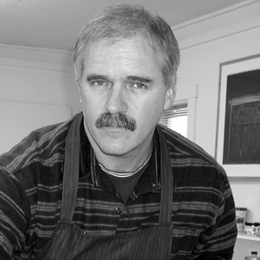 Timothy P. Sheesley, 53, is a printmaker living and working in Otego, New York. He runs Corridor Press (www.corridorpress.com) where he collaborates with artists to make original lithographs. He is also the Gallery Director of the Martin-Mullen Art Gallery in the Fine Art Center, at the State University of New York College at Oneonta. He completed his undergraduate work at the SUNY College at Oneonta, received the certificate of Tamarind Master Printer from the Tamarind Institute of Lithography, University of New Mexico in 1979. He received his Master of Fine Arts degree from Tyler School of Art, Temple University in 1982. While in Philadelphia he established Corridor Press. In 1992 he moved to Otego. Through March 2010 the Roberson Museum and Science Center in Binghamton, New York is featuring an exhibition of his personal artwork and the works of over seventy artists he has collaborated with in the last 25 years.